Jarod, a young man bored with his mundane life wished he would have an unforgettable adventure. Sadly, the only things he could see in his future were school and work. With things all but decided on him joining the police force when he got his degree, college wasn't as awe-inspiring as he had hoped it would be. Friends these days only wanted to get drunk, laid, or both; typical college life. But on one night, his curiosity took him into the middle of a werewolf hunt and he was saved by a mysterious and beautiful young woman. I was approached by the author to read and review this book. At first, I thought I'd have to refuse as I have a huge TBR pile at present. But then I saw it was only short-story length, so I decided to give it a try. I closed the final page with very mixed feelings, hence the three-star rating. On the plus side, the plot is interesting and new, and I liked the idea of a werewolf-human war being played out behind the scenes. My problem was that I really didn't like the protagonist. I just found him grating and annoying, which meant I never fully engaged with the story the way I would have liked to. 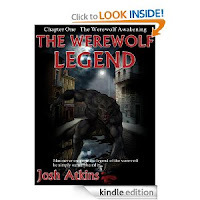 But this is the first book in a series and, as I said, the plot idea is solid, so I hope Atkins will be able to build on this first chapter as things progress. Perhaps Jarod will even become more likeable as the story continues. 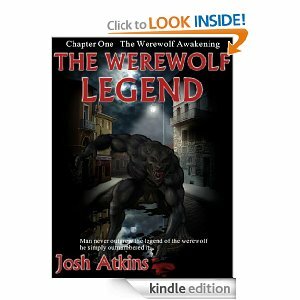 This is worth reading if you are a big fan of the werewolf genre and I will be interested to see what happens later on in this series.